UFO SIGHTINGS DAILY: Tiny UFO Caught Near School Bus In Texas On 2017, UFO Sightings Daily News. Here is a strange sighting. A tiny UFO about the size of a baseball seen around the front of a yellow school bus in Texas. UFOs do come in all shapes and sizes. The screenshots above do show a metallic disk object. Too bad the video was so short, never shut off the video after 15 seconds. We need more evidence about this sighting, but overall, very intriguing. Was waiting for a student in the School bus when object suddenly appeared in front of wind shield. It hovered directly in front of me withing 1 to 2 feet distance. The object did not like being filmed as it started to dart around erratically to avoid being filmed. I took the video on a S7 edge Samsung film. 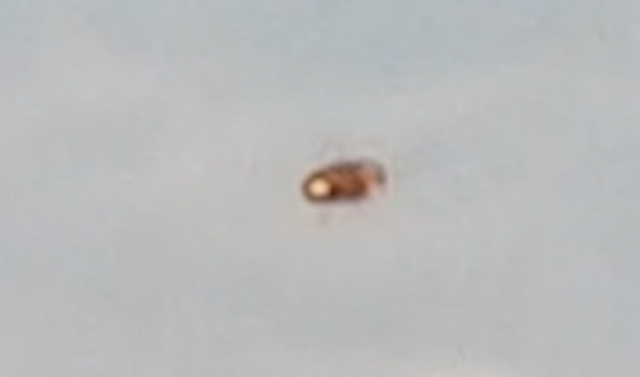 The video quality is good on this cell yet the object still appears blurry. Even at close range. 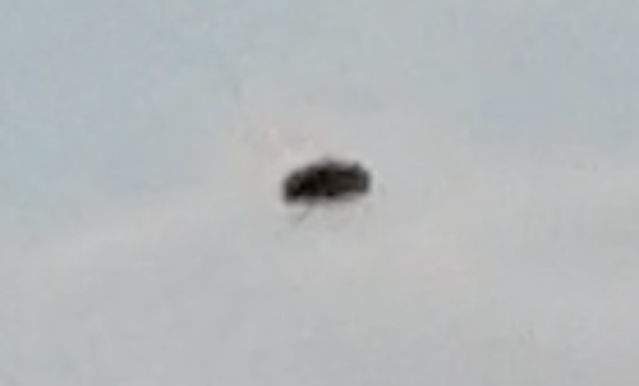 As soon as i quit recording it started hovering in front of me again. During this time the loading lights on the school bust were activated. It seemed to be flashing back the amber lights. But the sequence was different from the bus. As soon as the red lights were activated the object flashed back only once and zipped up and incredibly fast. Almost as it did not like the red lights or possibly offended by it. The object was 2 to 3 inches. My initial thoughts and my attendants was that it was a bug of some sort. 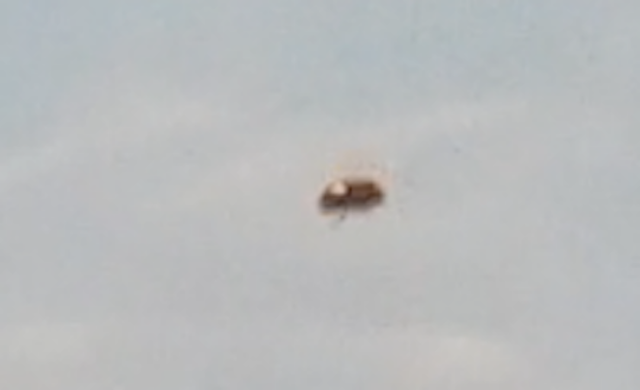 But slowing down the video it appears saucer oval shape with maybe an antennae. But no visible wings on it if it was a bug.